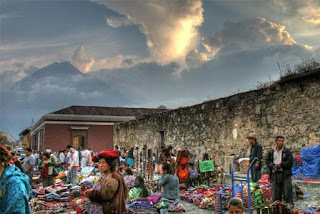 Discover La Antigua Guatemala your way - whether you are interested in Mayan culture, adventure, ancient ruins, shopping, food or photography, you can find an activity in the Land of Eternal Spring, located in the highlands of Central America. The tour includes a walk through the plantation during which you will see and learn about the different stages of coffee growing, from the planting of the seeds, the special care provided in the nursery and the planting in the permanent location to the looking after the adult plants during their productive life. The Finca Colombia tour different is that the guide is a coffee expert, You will also learn about the different stages of coffee processing and see the facilities where these take place. Volcanoes, mountain biking, kayaking, zip line, paragliding, surfing, we got what you are looking for! Action packed, in your face fun! Climb a volcano, or several with O.X. Based in Antigua, Guatemala. The Experience Guatemala Tours are a unique opportunity to get off the beaten tourist path, and see first-hand the beautiful, yet complicated reality of everyday life for most Guatemalans. All proceeds go are used to support non-profit projects. Tours leave Tuesdays and Thursdays at approximately 8:00a m from Antigua. Private tours are also available on request. Antigua Canopy Tours are situated at about 30 minutes from the entrance. We use Unimog Mercedes Benz vehicles especially adapted for safe transportation. Enjoy the spectacular views. Antigua Canopy Tours offer a series of platforms upon the trees or on the ground for wild life observation linked by horizontal double zip lines from one tree to another inside the Estate. Public Antigua Photo Walks are given on Saturdays from 9am to 11am if enough people register for it, the public photo tour is usually focused a specific theme.. The duration of a public photo walk is approx. two-hours. Photo walks can be in English, Spanish or both. Costs is $30 per person for public photo walks. Antigua Street Food Tour is a combination street food and central market tour that brings together the best of this fascinating town. Enjoy 2 tours in 1 for an amazing afternoon of history, culture, food and fun!